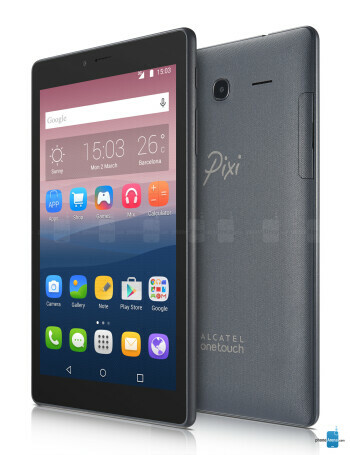 The Alcatel Pixi 4 (7) is an Android tablet that sports 7-inch display with 600 x 1024 pixels resolution. 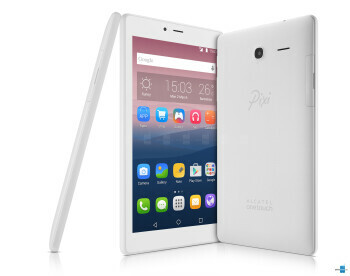 It's powered by 1.3GHz quad-core processor, 1GB of RAM and 8 gigs of internal expandable memory. There is 2 megapixel camera on the back, as well as VGA front one. The tablet runs Android 6.0 Marshmallow.